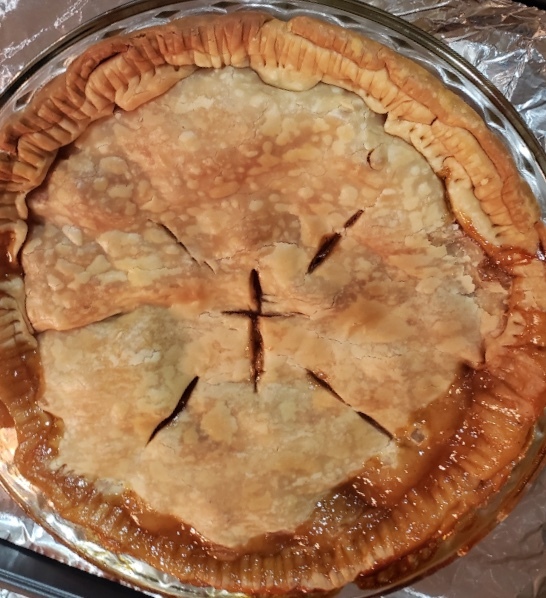 Homemade apple pie for the first time Thanksgiving 2018. We all have a relationship (either negative or positive) with the extras in life. It is a constant push and pull to have that “just right” experience. Over-indulge and be left feeling miserable and groggy. If not enough is consumed “want” is left waiting and can turn into “need” and over-indulgence. This doesn’t mean we should continue to panic in the face of this dilemma. We continue to follow our process and monitor as we go along. 1 John 4:1-6 – Beloved, do not believe every spirit, but test the spirits, whether they are of God; because many false prophets have gone out into the world. 2 By this you know the Spirit of God: Every spirit that confesses that Jesus Christ has come in the flesh is of God, 3 and every spirit that does not confess that Jesus Christ has come in the flesh is not of God. And this is the spirit of the Antichrist, which you have heard was coming, and is now already in the world. 4 You are of God, little children, and have overcome them, because He who is in you is greater than he who is in the world. 5 They are of the world. Therefore they speak as of the world, and the world hears them. 6 We are of God. He who knows God hears us; he who is not of God does not hear us. By this we know the spirit of truth and the spirit of error.